Sitar is one of the most popular musical instrument in Indian subcontinent. It is an integral part of Hindusthani classical music and accepted all over the world today. It was the magical fingers of legents like Pundit Ravi Sankar, Ustad Vilayat Khan, Pundit Nikhil Banerjee who travelled around the world and spread the unique tone of sitar to music lovers. George Harrison, the lead guitarist of the Beatles, studied the sitar and played the instrument on several songs which lead to spreading of Sitar's fame around globe. Sitar is a plucked string instrument that belongs to the lute family. 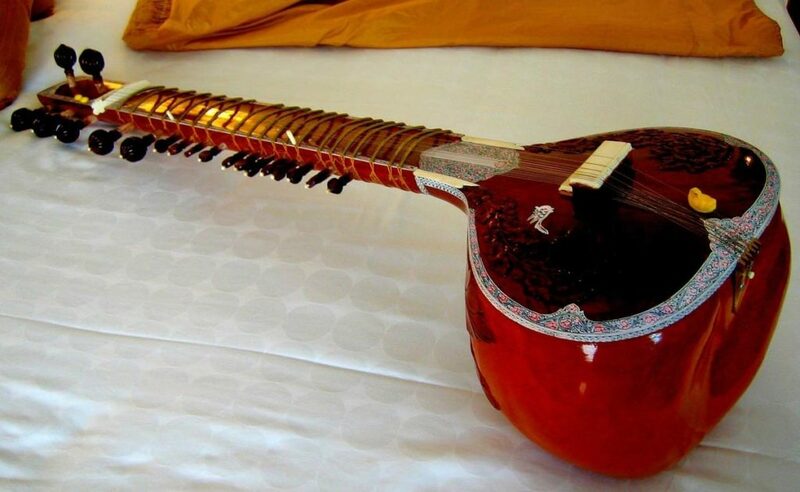 Typically measuring about 1.2 metres (4 feet) in length, the sitar has a deep pear-shaped gourd body; a long, wide, hollow wooden neck; both front and side tuning pegs; and 20 arched movable frets. 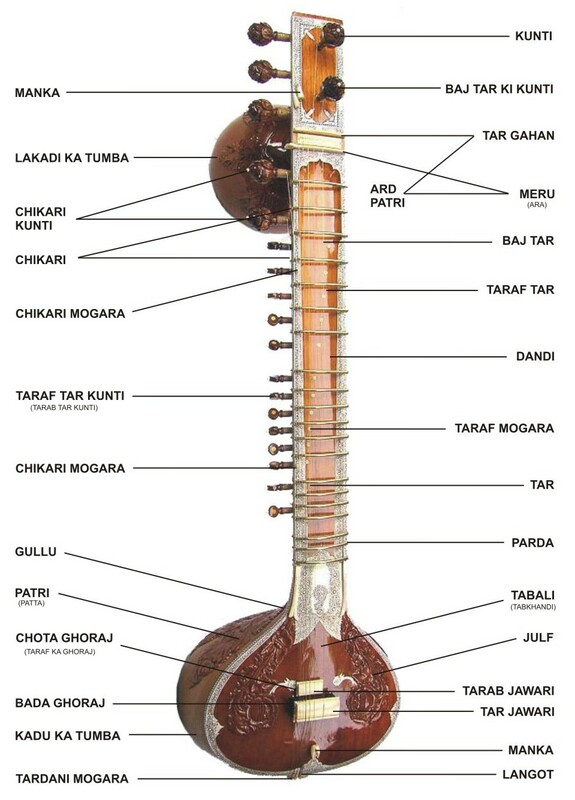 Its strings are metal; there are usually five melody strings, one or two drone strings used to accentuate the rhythm or pulse, and as many as 13 sympathetic strings beneath the frets in the neck that are tuned to the notes of the raga. The convex metal frets are tied along the neck, which makes them movable according to the need. Sitar is of two types: Kharaj Pancham and Gandhar Pancham. Kharaj Pancham has an extra low bass string and a second gourd up top. 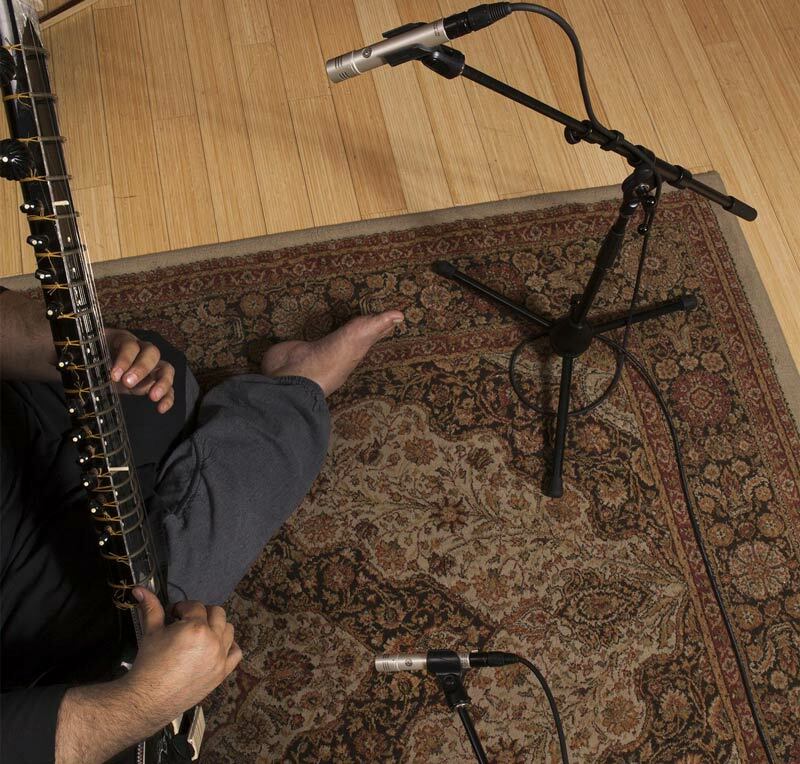 Musicians hold the sitar at a 45° angle on their laps while seated. They pluck the strings with a wire plectrum worn on the right forefinger while the left hand manipulates the strings with subtle pressure on or between the frets and with sideways pulls of the strings. The complex strucure of Sitar is shown in the figure. The word sitar is derived from the Persian word sehtar, meaning “three-stringed.” The instrument appears to have descended from long-necked lutes taken to India from Central Asia. The sitar flourished in the 16th and 17th centuries and arrived at its present form in the 18th century. Today it is the dominant instrument in Hindustani music; it is used as a solo instrument with tambura (drone-lute) and tabla (drums) and in ensembles, as well as for northern Indian kathak (dance-dramas). Two modern schools of sitar playing in India are the Ravi Shankar and Vilayat Khan schools, each with its own playing style, type of sitar (varying in size, shape, number of strings, etc. ), and tuning system. Being an instrument with lot of resonance, it is important to place the microphone such that the sound of whole Sitar is captured. In sitar, with as many as 20 strings and 20 adjustable frets, the quality of the Sitar used and the expertise of the musician who is playing is key in getting best out of it. If employing the sterio miking technique, place one mic 3-5 inches from the bridge and place the other mic near the small peg (Lekadi Ka Tumba). It is advised to take measures to remove the finger plucking noise. 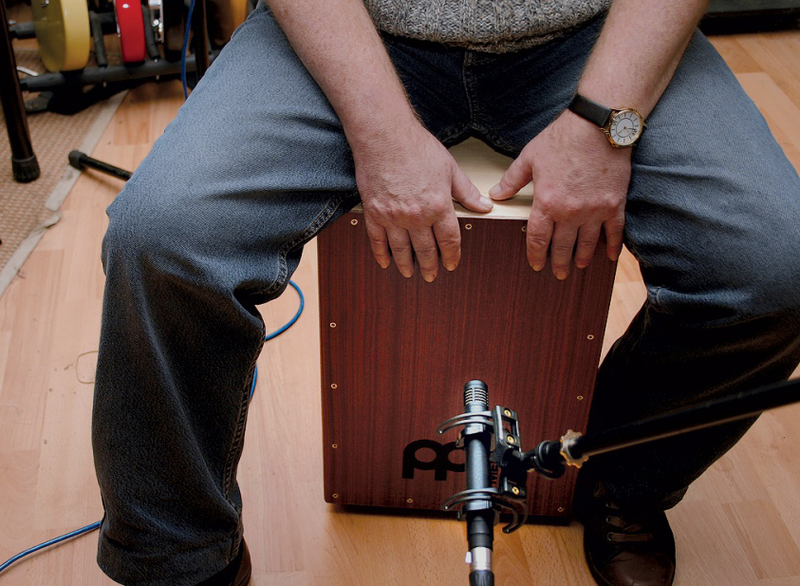 Cajon – Simple but fantastic!